JACKSON, MS (WLBT) - The Republican front-runner in the 2019 Mississippi Governor’s race has been thrown into a national controversy over racist yearbook photos. Three of the men in the photo are also wearing Confederate flags on their heads and another photo shows dozens of members dressed as Confederate soldiers for the fraternity event known as “Old South”. The images were first uncovered and published by the Democratic super PAC American Bridge on its website, the American Ledger. Governor Phil Bryant was asked about the photos while touring the new Continental Tire plant with U.S. Secretary of Labor Alexander Acosta. He said that he had not seen or read anything from that report. Millsaps College releases statement on yearbook photos. 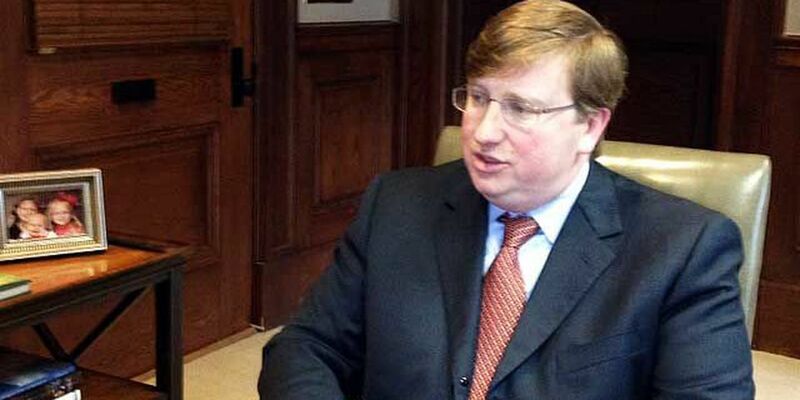 A Mason-Dixon poll released Wednesday showed Reeves with a 53-point lead in the GOP primary but indicated a dead heat between Reeves and Jim Hood, the Democratic attorney general, in the general election. The Mississippi gubernatorial primary is on Aug. 6.